Discover tips and resources for setting up your preschool literacy learning center with this Insights and Inspirations article. 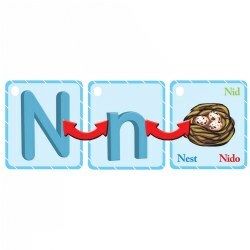 This product is excellent for fine motor and pre writing practice. The kids have fun bringing up the magnets with the pen and after pushing them back down again. 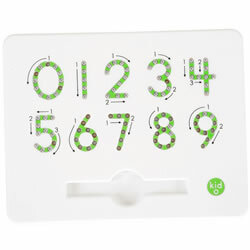 I loved this so much I bought the numbers board as well. I introduced my preschool class to the Magnatab products. 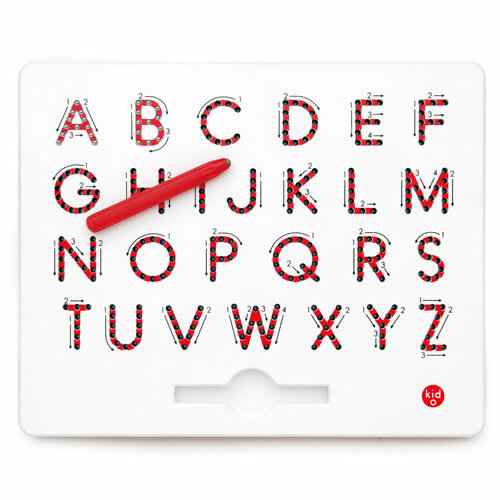 For younger children learning how to make the letter strokes, this product fails. Children cannot do any curves without bouncing, which makes it difficult to finish letter formation. This forces children to want to "dot dot" (push each dot) that they are successful with, instead of actually using the pen for letter formation. 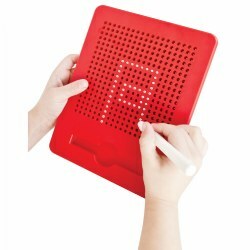 This is the perfect tool for children learning their alphabet or how to write letters. Directional arrows show how trace each letter with included magnetic pen. Then rub your finger over the little magnets and start over again!